The figurehead of the United Kingdom is everywhere in the media this week. Not being a 'Royalist', I know very little about HRH Queen Elizabeth, but these photographs of her as a young woman portray a more nuanced person than the one I grew up seeing in the media. 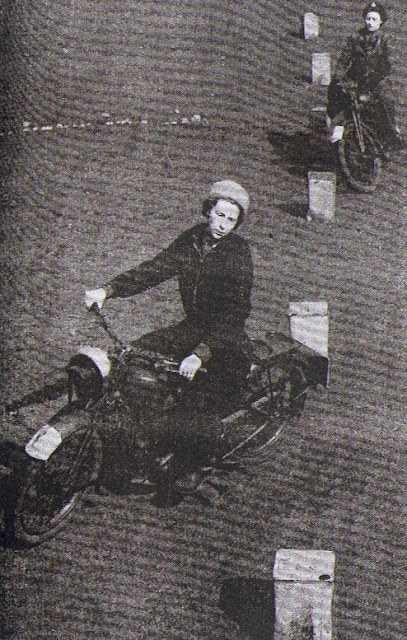 Princess Elizabeth, future Queen of England, riding a BSA C10 250cc. 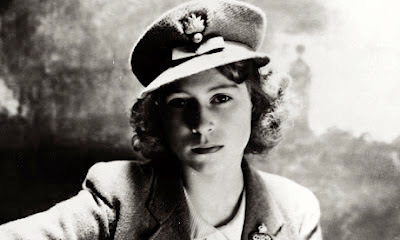 Princess Elizabeth trained during the 2nd World War, aged 19, with the ATS - Auxiliary Training Service. 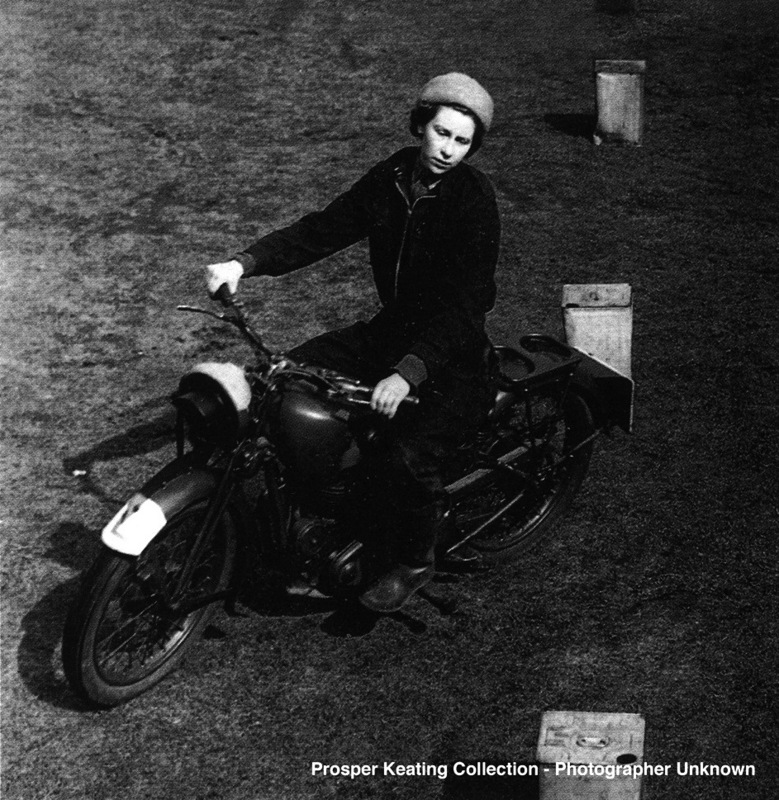 The image, supplied by journalist/biker Prosper Keating, after hearing of Elizabeth's motorcycling, sourced the negative and supplied it to the Queen, who replied in her own handwriting that she was grateful she could show her grandchildren that she was 'once cool'. With the uncropped photo from 'The Motor Cycle' in 1941 there was no mention of Princess Elizabeth, but readers recognised the face. So, now I see HRH Queen Elizabeth as cool too. Portrait photography always interests me and so here is a Cecil Beaton portrait of Princess Elizabeth. Now I have connected her with motorcycling and portrait photography I can see through the wall to wall red, white and blue bunting of the previous weeks Diamond jubilee and enjoy a more rounded impression of HRH Queen Elizabeth. Still not a Royalist, just enjoy motorcycles, portrait photography and seeing the human being behind the image.